The sale of real estate at public auction in the United States has a rich history of success. Today, auctions are more a part of the American way of life than ever. Auctions are an important sales tool and a positive step based on informed business decisions, as well exciting events where bidders can compete directly on equal terms. Whether you are an attorney, banker, board member, broker, builder, business owner, developer, executor, heir, homeowner or investor, the reasons to sell property through auction are as many as they are compelling. Properly-marketed, professionally-conducted real estate auctions are not fire sales, as often erroneously portrayed. They are a proven technique for selling property in an accelerated time frame at true market value. 98% of all auction sales close successfully as the high bidders can be immediately required to give a significant non-refundable deposit and to sign a contingency-free Purchase & Sale agreement. As of auction day, buyers are heavily vested in the transaction, resulting in a near certainty of sale that helps sellers plan with confidence because they know when their property will close and when they will be paid. 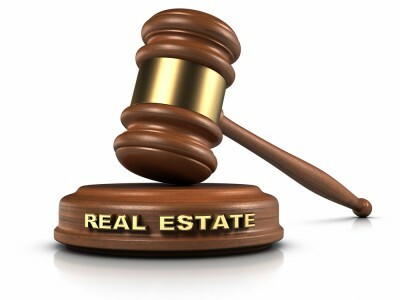 If you're considering the sale of your real estate, we have the experience and professional team to turn your real estate auction into a well marketed and successful event. Skyline Auctioneers will take the time to understand your unique selling requirements, concerns, and goals. We'll reach those goals by creating an aggressive marketing program that will get your property sold in a 4-6 week timeframe.